This is an exciting time to be part of Windham School District (WSD)! We invite you to be a part of what is happening to change lives for those wanting a second chance after a past of criminal activity. Every day, more people join our efforts to change the lives of those incarcerated in the Texas Department of Criminal Justice. “New teachers apply for jobs, volunteers sign up to devote time and some offer free short courses, businesses inquire about hiring students on release, and many charitable service and faith-based organizations ask to partner with WSD.” Many Texans are now interested in how they can become a part of our collective effort, making Windham’s goals part of their personal mission. We are hearing these people proudly state, “We are Windham,” expressing solidarity with our common mission to facilitate positive change. Windham’s past performance is ranked as one of the highest in the nation among correctional educational programs, but we know we must continue to improve and challenge ourselves to deliver the best opportunities for offenders to be successful upon release back into Texas communities. Windham takes pride in past performance, but I hope you can also see our efforts to be responsive to needed changes. Our staff of highly qualified and dedicated people is rising to the challenges of educating the offender population in the Texas Department of Criminal Justice. 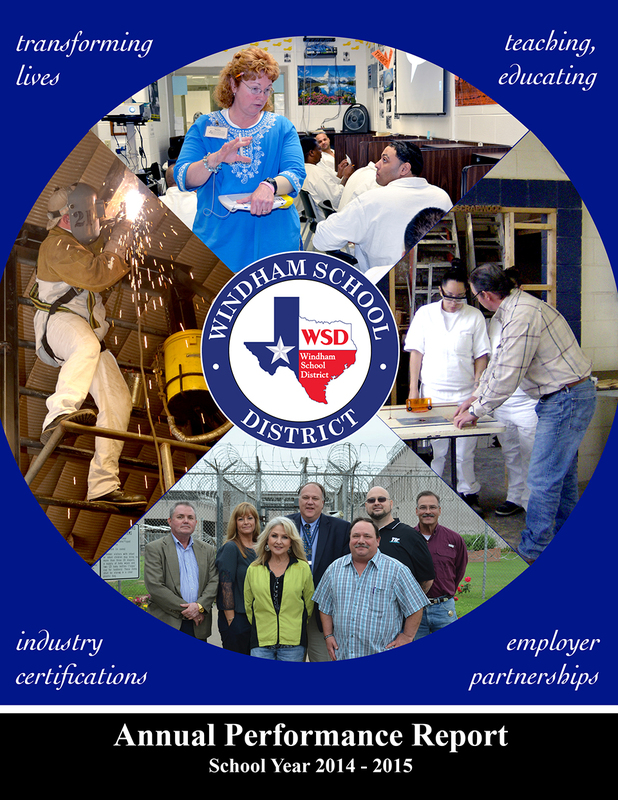 By improving educational content delivery, expanding vocational training opportunity for offenders, improving behavior and choice training for offenders, connecting with businesses who employ released offenders and continually working to improve efficiencies, Windham is providing a cost-effective intervention that helps protect all fellow Texans and lowers the cost of criminal activity to the State.